Cyclists roll through Copenhagen, one of the world’s greatest cycling cities, at an average speed of 10 miles per hour (15.5km/h). Imagine cyclists flying along at more than four times that speed without expending any extra energy. That’s one of the goals of the Human Power Team at the University of Delft, Netherlands, who want to see more cyclists commuting farther at faster speeds. As part of this goal, they have designed the VeloX, the world’s fastest bicycle, which holds the record of 133.78 km/h (more than 80 miles per hour). The third model of the VeloX holds the high-speed record, set in Battle Mountain, Nevada in 2013. This year, the team will try to beat their own best, using the VeloX V, their latest model. The VeloX series is designed only to be the fastest human-powered sprinter in the world and is not suitable for high speeds over long distances or for casual riders. 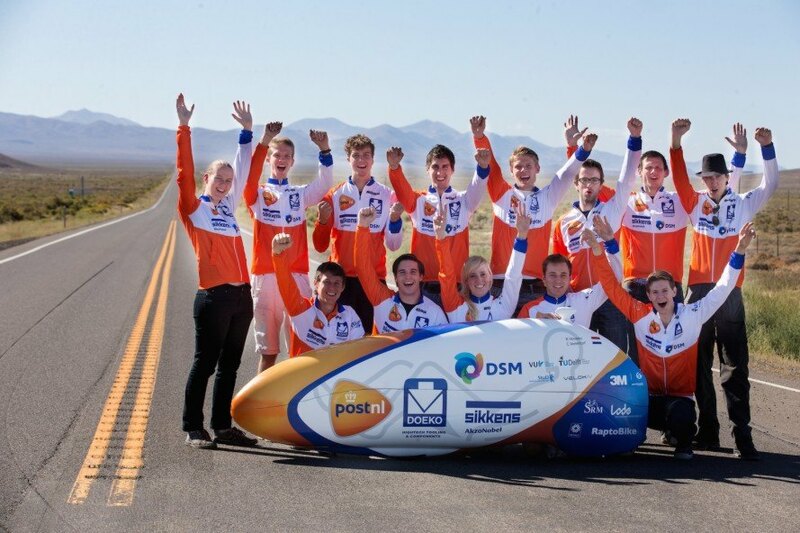 The team uses specially selected athletes, trained at the University of Amsterdam, for their record attempts. Their innovative work is also being applied to bikes more suited for average cyclists. Their 3-wheeled Velo Tilt model is far more stable than the VeloX series, yet can reach 60km/h with little exertion from the rider. It also features a trunk where riders can store groceries and daily commuter items. The team would like to make the Velo Tilt available within a few years, even though the initial price, which would be thousands of dollars, might keep it out of reach of the average cyclist. get me around at 60 kmh with the same effort at 10km, and I'll take out a loan. Get this puppy produced and on the market.